I was pleasantly surprised to see that this is slightly randomly generated! I look forward to playing this when I get home. When the wizard eats your cookies, there's an issue with overlaid text. I also got overlaid text with "You have died!" once (after being cursed by the wizard then killed by the monster, I think). 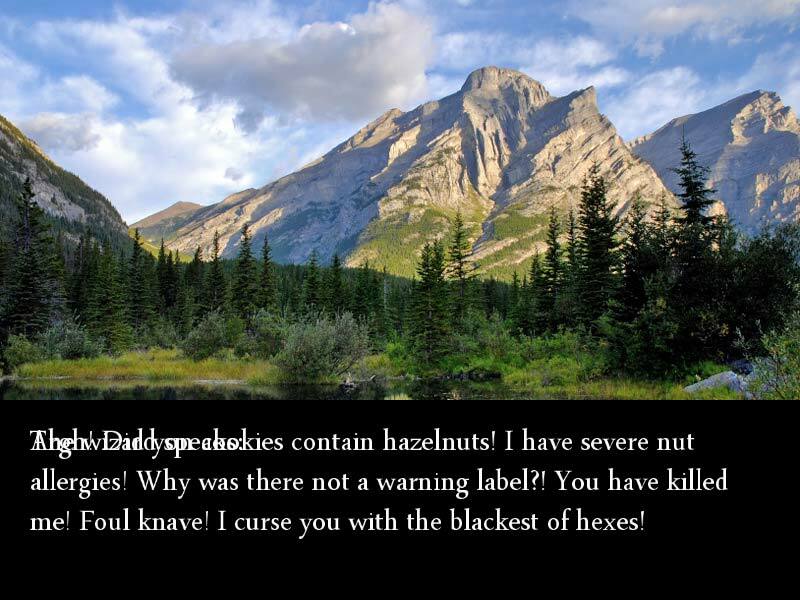 I caught the villagers with my net and then visited the fairy immediately afterwards and faced further overlaid text issues. I then immediately revisited the villagers, which re-triggers catching, and then revisited the fairy again which re-triggers the overlaid text issues. 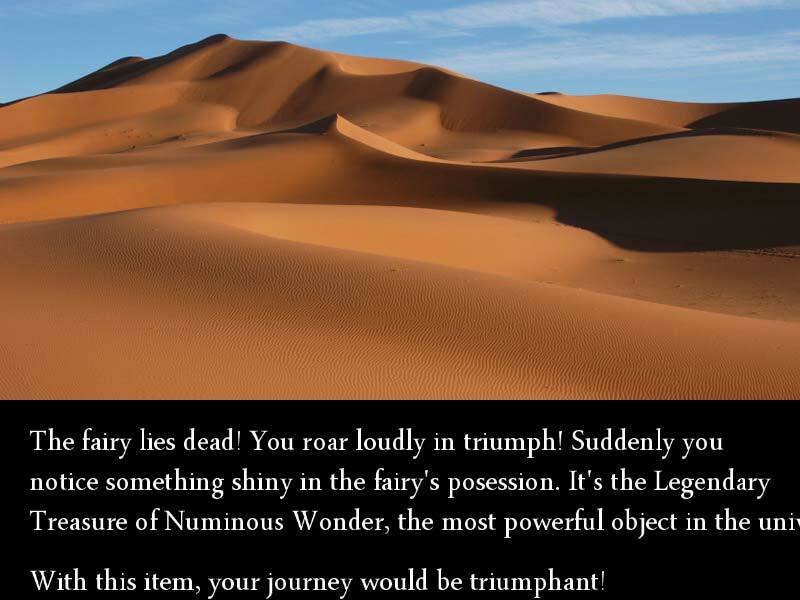 Whenever the game decides to visit a location twice in a row, the introductory line of text appears for a split second then turns black, but you still have to click through the no-text screen. 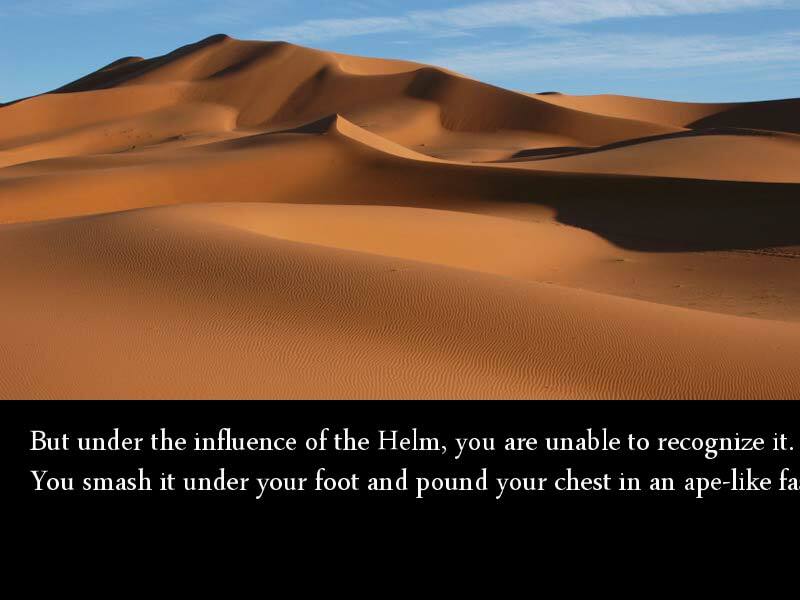 When visiting the wizard with the helm, this bug intensified somehow and I was clicking through several no-text screens in a row. Possibly this results from another presumably unintentional no-text screen I encountered which appears after winning a fight against the wizard, right before the line "The wizard reaches into his robes..." It also seemed to get worse when I had both the hug and the helm (I figured the latter would override the former, but this didn't seem to happen). After visiting the village twice in a row with the helm ("You stay to enjoy the silence") I faced infinite no-text screens and had to close the game. 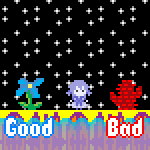 I defeated the fairy with the helm and noticed the word "universe" goes off the screen's edge, but this is kind of funny so maybe you won't fix it... "ape-like fashion" is also truncated. Also, we were both left with negative hit points, and while the game said you have died, it progressed to the next screen anyway. At the next battle encounter, I received an instant game over right after seeing the message "the fight is on". There's also text that goes off the screen during the village hug tragedy. Wow, thanks for the thorough testing! I knew there were bugs like this, but it was hard to find them all! It took me longer than I thought it would, but I think I took care of most bugs. The game also has the potential to last a little bit longer so that it's somewhat easier to win. Before the odds of winning were astronomically high. JourneyOfFatePC.zip doesn't appear to contain an executable any more! Thanks for the heads up, it should be working now. It is! This version seems virtually perfect. I just shared it on my game recs tumblr, which should expose it to a new audience of, like, 50 people, tops. EDIT: Ah, I did just trigger a no-more-text bug after multiple repeat visits to an empty cave somehow... seems like an extremely rare occurrence, though. Thanks for the share! I fixed that bug too, by the way. That was awesome. Then I played it again and it was awesome in a different way. I have to say that my first game will always be canon for me. It was an amazing adventure. I started out in the cave of the crab-wizard (who likely conjured me) and after it was kinda aggressive I went out to meet the poop-villagers of the wood. They asked me to kill a monster who I didn't see until way later in the game. I wasn't even sure if there was a monster for a while. 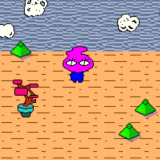 As I bounced between the dodecahedron-fairy in the mountains and the crab-wizard in the cave, the poop-villagers became more and more of an akward situation. Some of your writing was genuinely funny. I laughed a few times and the overall game made be feel giggly. 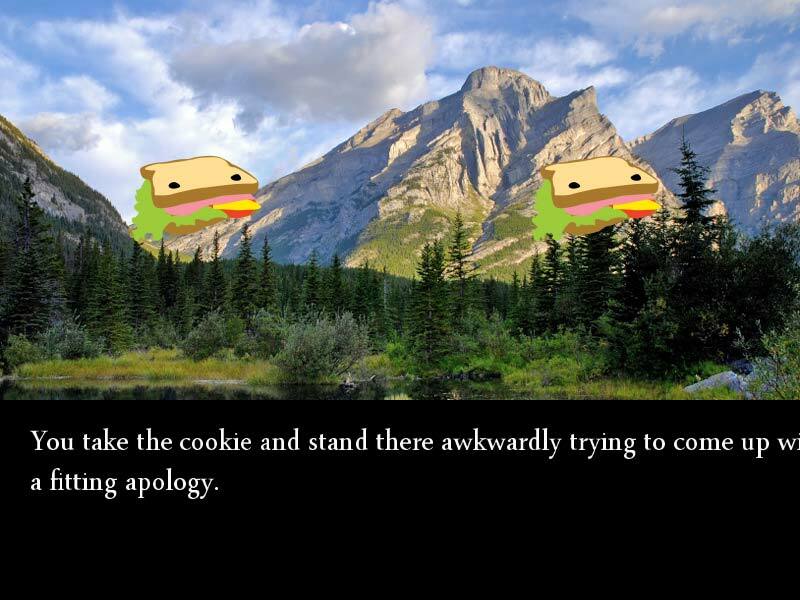 Then I finally met the sandwich monster in the desert, hit it once and ran. This of course made interactions with the villagers more akward. Crab-wizard finally got fed up with me and attacked, I killed crab wizard. This was where one of my favorite pieces of writing was. I guffawed at "probably nothing to worry about". Went out to see the poop-villagers in their perpetual dissappointment one more time and then walked into the cave and hit my head. It was perfect. I enjoyed the other playthroughs too. Mostly because it made the fantasy world you created feel more plastic and more broad with its systems-driven component. I also was surprised to see some more great lines. Loved it. Assuming this was made using a "library" (which I am not entirely sure I know what that is), do you happen to remember where it came from? 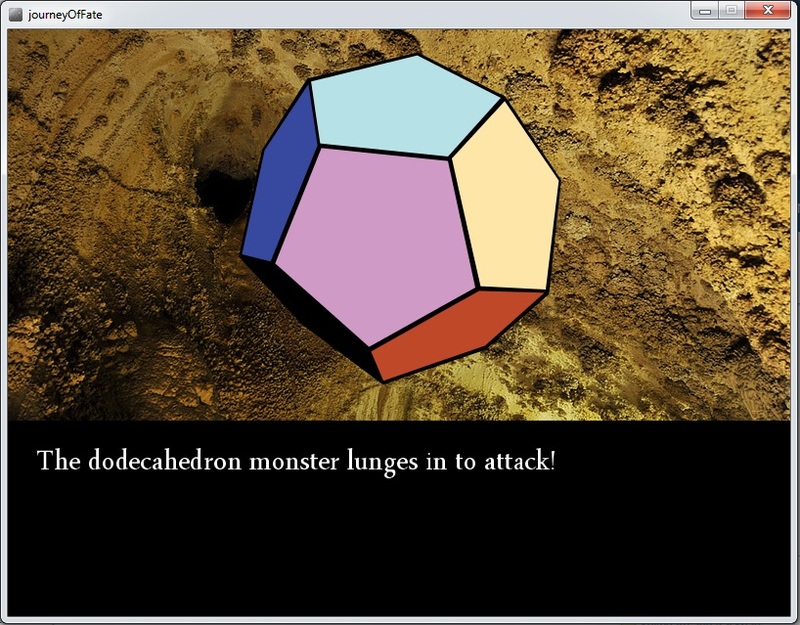 I'm interested in trying to make a visual novel with Processing and exporting it to an HTML file. I didn't use a library for this game (aside from Minim, an audio library which I use to play the music). I wrote everything myself, so it's all pretty much tailored for this game specifically. But I'll attach my Processing files here just in case it helps you at all. I can't guarantee that the game is coded well, though. For instance, I now know that it's considered bad form to store so much dialogue inside the game's code. (You're supposed to keep it in a separate text file, I guess). That said, I don't think it would be too difficult to write a more interactive visual novel in Processing and looking at my code might help you out. Note: That guide tells you to download processing.js from their website, but if you're using the built-in Processing code editor then you already have it. You can switch modes by clicking the box that says Java in the top right corner of the window. Anyway, if you have any other questions concerning my code or Processing in general, just let me know. Like all coding, its a lot to wrap your mind around at first.